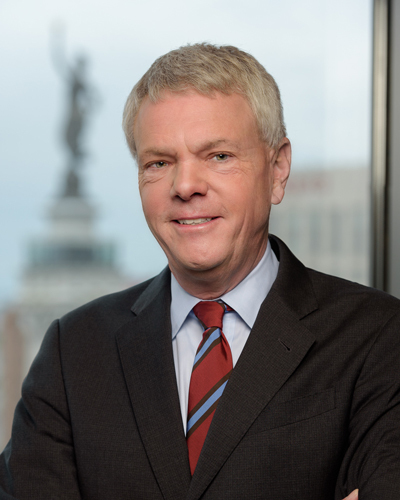 David L. Johnson was elected President and CEO of the Central Indiana Corporate Partnership (CICP) in December 2012. CICP is a unique, nationally-recognized, strategic collaboration of business executives, philanthropic leaders and university presidents brought together to develop initiatives, investments and projects that advance regional prosperity. Johnson also served as President and CEO of CICP’s BioCrossroads life sciences initiative from 2005 to 2018. Among Johnson’s many accomplishments at BioCrossroads are his work raising nearly $400 million dollars in philanthropic, corporate and venture capital funding; organizing and spearheading the Indiana Biosciences Research Institute and the development of the 16 Tech Innovation Community, and forging unique collaborations to advance the national prominence of the region’s life sciences and other technology-driven sectors. Johnson is a frequent speaker and source on industry cluster initiatives and civic leadership and collaboration, with his work cited extensively in recent books such as The New Localism – How Cities Can Thrive in the Age of Populism and The Oxford Handbook of Local Competitiveness.